Pawar Travels provides you the best and quick Pune To Mahableshwar Cab the total kms from Pune To mahabaleshwar Taxi is about 120. Mahableshwar is known as the queen of ghats and the best hill station to visit there of western india. Sir Malcolm was the developer in the year 1828. The Climate of Mahabaleshwar is pleasant throughout the year but the best time to visit there is in the month of October to June. the temperature there ranges from 16 Degree c to 20 Degree c in summer and can fall down as low as 5 Degree c in winter. The beautiful hill station consists of various place like farms of berries , lilies and has three best waterfalls 1. The Dhobi falls - it is 2,3 kms away from mahableshwar it is good for love amongst each other , pictures Fantasy and t various hings. 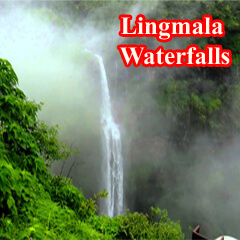 The lingmala falls wich is also a fantacy to watch along with friends and family and 3. The Chinaman falls are woth watching a perfect picnic spot. There are fabulous points to visit like the kate point,Wilson point , Bagington point, Bombay point Elphinstone point and many more. The old village of Mahableshwar is held scared by the Hindus and is known as the Panchgani temple. So we provide specializedPune To Mahabaleshwar carwithin that pirticuluar area. And if you are traveling through Pune To Mahabaleshwar Taxi and returning through various points like panchgani it is 19 kms more from mahebleshwar which is surrounded by hills all over . It is the best holiday place in the hills and mountains. 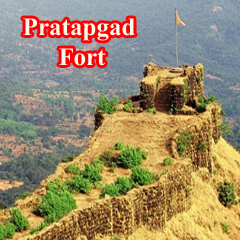 Our second destintion is pratapgard fort via mahableshwar it is about 24kms away ffrom mahableshwar it is the pride of the Maratha Empire built in 1656.Another places of attractions is the sangam that joints the five rivers over the pleatue called deccan. We provide a driver with nice information relating to the particular place administrative body will guide our customers tothe simplest things that bump into the enticing journey of one return ticket prepare ,we offer cab facility from pune via Mahabaleshwar cabs.We put together offer cabs to keep with customers satisfaction from Pune To Mahabaleshwar at a cheap rate package. 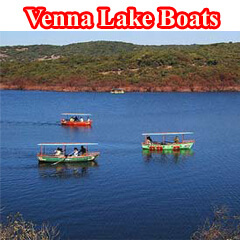 If you are looking for an short trip for mahabaleshwar packages from pune. Outing to hill station nearby pune then we have services like pune to mahableshwar cab, Mahableshwar which is located at very short distance. for which we can provide mahabaleshwar packages from pune is a tourist place approximately 120 kilometers away from Pune and attracts a lot of individualsmostly in summer. One can take about two or three days to see the whole Mahableshwar it is a charming place and to visit during any season of year. Some of the most visited places at Mahableshwar include Venna lake, Pratap gad, Sunset point, Panchganga Mandir, Author seat point. We suggest you with best suited hotels for family stay having absolute fantastic views from you rooms. After visiting mahableshwar we can proceed to words a town called Panchgani which is famous for strawberry farms, Sydney point, Table land, Parsi point and local market.Pawar travels drivers will guide you thoroughly through both Panchgani and Mahableshwar and its near by places like Pratapgad, and Mini Kashmir. Or you can travel by pune to mahableshwar taxi . So that you can miss nothing One can choose Pawar Travels provide as it offers one of the best packages for pune to mahabaleshwar cab and it is viewed as best by of the customers. With one of our best service anyone can rent sedans and hatchbacks for pune to mahabaleshwar like high end models depending on your comfort. We believe in fulfelment of customer .Here customers are given choice. So that they can choose any vehicle from our list of best vehicles in industry. From Mahabaleshwar, there are several holiday maker points and five temple to envision, with samples of previous Indian design. There are natural read points, some named by Mahabaleshwar includes 3 villages: Malcolm Peth, previous "Kshetra" Mahabaleshwar and a part of the Shindola village. Mahabaleshwar is that the supply of the Krishna watercourse that flows across geographical region, Karnataka, Telangana and state. The legendary supply of the watercourse could be a spout from the mouth of a sculpture of a cow within the ancient temple of Mahadev in previous Mahabaleshwar. Legend has it that Krishna is Lord Vishnu himself as a results of a curse on the trimurtis by Savitri. Also, its tributaries Venna and Koyna ar aforesaid to be Lord Shiva and Lord Brahma themselves. a motivating factor to note is that four different rivers take off from the cow's mouth with the exception of Krishna and that they all travel a long way before merging into Krishna. These rivers ar the Koyna, Venna (Veni), Savitri, and Gayatri. 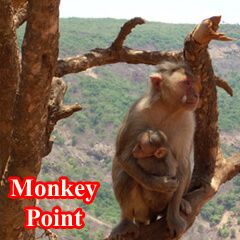 If you are looking for an short trip for mahabaleshwar packages from pune. Outing to hill station nearby pune then we have services like pune to mahableshwar cab, Mahableshwar which is located at very short distance. 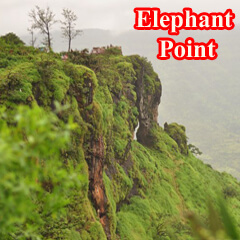 for which we can provide mahabaleshwar packages from pune is a tourist place approximately 120 kilometers away from Pune and attracts a lot of individualsmostly in summer. One can take about two or three days to see the whole Mahableshwar it is a charming place and to visit during any season of year. Some of the most visited places at Mahableshwar include Venna lake, Pratap gad, Sunset point, Panchganga Mandir, Author seat point. We suggest you with best suited hotels for family stay having absolute fantastic views from you rooms. After visiting mahableshwar we can proceed to words a town called Panchgani which is famous for strawberry farms, Sydney point, Table land, Parsi point and local market.Pawar travels drivers will guide you thoroughly through both Panchgani and Mahableshwar and its near by places like Pratapgad, and Mini Kashmir. 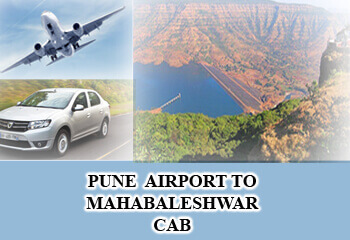 Or you can travel by pune to mahableshwar taxi . So that you can miss nothing One can choose Pawar Travels provide as it offers one of the best packages for pune to mahabaleshwar cab and it is viewed as best by of the customers. With one of our best service anyone can rent sedans and hatchbacks for pune to mahabaleshwar like high end models depending on your comfort. We believe in fulfelment of customer .Here customers are given choice. So that they can choose any vehicle from our list of best vehicles in industry. From Mahabaleshwar, there are several holiday maker points and five temple to envision, with samples of previous Indian design. There are natural read points, some named by Mahabaleshwar includes 3 villages: Malcolm Peth, previous "Kshetra" Mahabaleshwar and a part of the Shindola village. Mahabaleshwar is that the supply of the Krishna watercourse that flows across geographical region, Karnataka, Telangana and state. The legendary supply of the watercourse could be a spout from the mouth of a sculpture of a cow within the ancient temple of Mahadev in previous Mahabaleshwar. Legend has it that Krishna is Lord Vishnu himself as a results of a curse on the trimurtis by Savitri. Also, its tributaries Venna and Koyna ar aforesaid to be Lord Shiva and Lord Brahma themselves. a motivating factor to note is that four different rivers take off from the cow's mouth with the exception of Krishna and that they all travel a long way before merging into Krishna. These rivers ar the Koyna, Venna (Veni), Savitri, and Gayatri. We try all our best services like pune to mahabaleshwar tour package. Climate of the world is appropriate for cultivation of strawberries, Mahabaleshwar strawberry share to concerning eighty five p.c of the entire strawberry production within the country. Named as a result of the natural sculpture of the stones that sounds like 3 monkeys sitting beside one another and depicting three monkeys of Gandhiji. snuggled deep within the valleys one will discover from the define of an enormous stone a natural cut out it offer an impact of three monkey sitting next to every different depicting the 3 Wise Monkeys. Officer Sir Arthur Malet (1806–1888)(Not to be confused with British born actor of same name), Who Sat here and observe at the Savitri stream, where he lost his spouse and kids in a very tragic ferry mishap. Today, Mahabaleshwar a common resort hotel and honeymoon spot, and a very important site for Hindus pilgrimage. 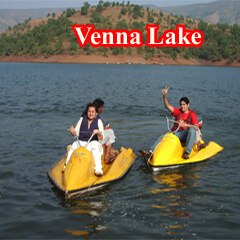 The Venna lake is one in every of the most important traveler attractions of Mahabaleshwar. The lake is encircled by trees on all sides. In Mahabaleshwar one will get hotels for all budgets from budget hotels to three Stars hotels. you get edifice from wherever one can get pleasure from the Lake's. Needle hole rock, viewed from the purpose Needle hole point is found close to Kate's purpose. One will see a natural rock formation with a hole in between, therefore giving the name Needle-hole. the point is additionally famed for the read of Deccan traps, that appear as if associate elephant's trunk. Pratapgad a fort close to Mahabaleshwar. The fort was designed by Shivaji Maharaj. The fort is common for in History of Bharat as Commander of Bijapur Afzalkhan was knocked out and executed by Shivaji Maharaj at Pratapgad. Panoramic view of Lingamala waterfalls This waterfalls is found close to Mahabaleshwar. The water here falls from a height of roughly 600 feet. The water of Lingamala waterfalls outpouring into the Venna Lake. The waterfalls is split by sticking rocks into multiple tiers. Named once Sir Leslie Wilson, the Governor of city from 1923 to 1926, Wilson purpose is that the highest purpose in Mahabaleshwar at 1439 m. referred to as Sindola Hill throughout the colonial rule, Wilson purpose is that the solely location in Mahabaleshwar wherever each sunrise and sunset are often seen. 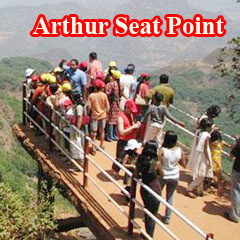 It offers a spectacular look of Mahabaleshwar all told directions. It settled at behind Mahabaleshwar-Medha road at one.5 kilometre from Mahabaleshwar town. Mahabaleshwar is found concerning thirty two kilometre from Wai. it's around 260 kilometre from Mumbai, the urban center. the closest major town is Satara, around forty five kilometre away, and is one hundred twenty kilometre from Pune. Mahabaleshwar is connected by the National road four. Bus services by state-run MSRTC and personal organizations connect it by buses from Pune, Mumbai, Sangli and Satara.